Have you ever wondered what might be lurking on your child's stuffed animal, bath toy or building blocks? Or thought about why it is that your child’s allergies seem to be triggered by contact with a favourite, well-loved teddy bear? Washing soft toys and staying aware of toy safety are vital when it comes to stopping the transfer of germs and dirt, and keeping asthma and allergic reactions to house dust mites at bay. Toy Safety - What Should You Do To Keep Toys Clean? Choose the toys that you give to your child carefully, with an eye to toy safety and baby hygiene. Look for wipe clean toys for ease of cleaning – all you need to do with those is give them a quick once over with a damp cloth and some mild disinfectant. Most stuffed toys are washable these days, and washing soft toys should be part of your baby hygiene routine – you don’t want to introduce your pride and joy too dust mites and allergens. Scrub, wash and wipe clean toys that have become dirty, and try to avoid any difficult-to-clean items. How Often Should I Clean My Child’s Toys? Although you don’t have to be obsessive about toy safety and cleanliness, as a little dirt probably won’t do them any harm, you still need to be aware. Wipe clean toys are easiest as they can be washed and disinfected after any spillages or if they come in covered in mud. If toys are obviously dirty, give them a clean, but other than that you can probably leave most toys once a month – unless of course you have a child with asthma or allergies when you might think about washing soft toys more regularly. Most toys can be put into a dishwasher or washing machine, but if you can’t machine wash or wipe clean toys, you can always dunk them in good old fashioned soap and water. If you're worried that a toy might melt, shrink or fall apart in the wash, wash it by hand. 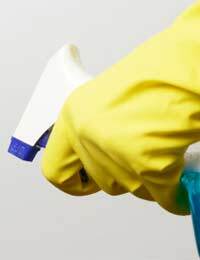 To avoid transferring germs between children, wipe clean toys and disinfect surfaces if your child or a playmate has been ill. A bleach-water solution or disinfectant should be all you need to de-germ the toys – and it’s also worth giving the rest of the house a quick once-over with some disinfectant if a poorly child has been to visit. If your child has asthma or an allergy to dust-mites, freeze the bugs on soft toys out by putting them in the freezer overnight. This will kill all dust mites, and then you can take the toy out of the freezer and put it in the wash to get rid of the dead mites and any droppings. Don’t buy bath toys with holes in them, because even if you care for them properly, they can still be a breeding ground for mould. Instill the hand washing ethic into the little ones from an early age! If children wash their hands before playing with their toys, it can keep them from spreading any germs, dirt and bacteria around. Use a storage bin to store dirty toys for cleaning. If you spot a dirty, non wipe clean toy, just put it in the dirty bin until you can wash it. Don’t let babies and toddlers share toys. Very young children love to put toys in their mouths, which can carry and spread germs and infection. There’s no need to go mad about keeping everything clean – experts believe that in order to avoid allergies developing and to build up immunity, children and babies actually need to be exposed to dirt and germs!